As has been anticipated for a number of years, China is now Australia’s largest trading partner. It’s all but certain that this will remain the case for the foreseeable future, which means that Australia’s political leadership will have a compelling interest in developing and protecting a relationship with China that’s robust and positive. China, similarly, has spoken of its determination to forge a relationship with Australia that’s genuinely close as well as mutually profitable. The snag, of course, is that Australia and China mightn’t have enough in common to gravitate naturally to that sort of relationship. The sharp ebbs and flows in the bilateral relationship seem to confirm this. China openly states that democratic government isn’t a viable path for the Middle Kingdom. Indeed, internal Communist Party papers characterise notions like an independent judiciary, a free press, constitutional democracy and universal human rights as ‘subversive’—that is, disruptive, revolutionary, even treasonous. Those elements sit at the heart of democratic government, a system of checks and balances that seeks to preclude anyone or any group acquiring the capacity to dictate to others. The system, which is fundamentally about encouraging, requiring and imposing transparency and accountability, has proven to be capable, over a wide range of national circumstances, of balancing personal liberties, collective involvement in decision-making and a sufficiency of governance. 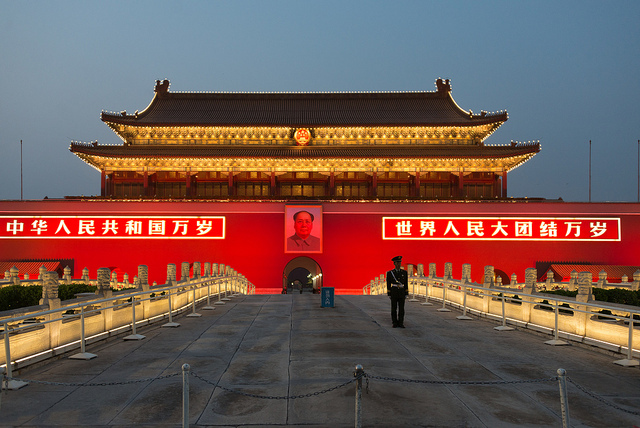 China’s rulers, in contrast, including today’s Communist Party, incline to the view that absolute power is indispensable to good governance and that the effects of democracy’s checks and balances can be reliably replicated in the person of the ruler or the ruling clique. The Chinese prefer—and have always preferred—governmental processes devoid of transparency and accountability. Over the past 35 years, the CCP has engineered the most spectacular economic revival in history, delivering stability and a material outcomes beneficial to a major part of China’s massive population. But this accomplishment has not erased the legitimacy deficit, the ability to proclaim that the right to govern has been tested and granted. The CCP continues to display the insecurity of suspecting that resistance is brewing beneath the surface and succumbing to the powerful and enduring instinct to preempt that resistance. The Party has therefore retained the formidable arsenal of authority plus the capacities to exercise that authority to minimize, detect, prevent and punish any and all ‘subversive’ behaviour. The government of China, including the present regime led by Xi Jinping, is continuously, and often frantically, engaged in denying qualities that Australians routinely declare they are prepared to go to war to protect. This offers no basis to presume a level playing field for Australia–Chinese interactions. The legitimacy deficit also spills over into foreign policy. Having pushed nationalism forward to replace the fading appeal of socialism, China’s government is drawn to wielding its power to prevail over other states and thereby bolster its domestic credentials. China’s accustomed to getting its way. It insists that it has devised a model of governance that’s beyond reproach. It takes full advantage of the openness and transparency that characterises the domestic arena of many of its partners while insisting that curiosity about its own internal arrangements constitutes unacceptable interference. Nor does it shrink from extreme measures to address obstacles to its own interests. Cases in point include the pressure Beijing exerted in 2012 and 2016 to break up an adverse ASEAN consensus on China’s provocative actions in the South China Sea and resorting to extra-legal and extra-territorial measures to intimidate the executives of a Hong Kong publisher prepared to print manuscripts critical of China’s leaders. Australia can neither afford to antagonise China nor to pursue ‘good’ relations with it to the point of being casual about protecting our national interests. A good starting point would be to make sure we don’t lose sight of the fact that our sharply different governmental philosophies may mean that diverging interests will be closer to the rule rather than the exception. As to guidelines for the development of policy settings, a possible example would be: if Australians cannot do in China what Chinese nationals already do or aspire to do in Australia, Australia will critically examine whether enduring this asymmetry is in the national interest. Whatever the guidelines turn out to be, it’ll be vitally important for Australia to take the trouble to be well-informed and to establish a reputation for consistency and resolve in Beijing. Furthermore, we should strive to impress on Beijing that we’ll have long memories on state behavior that we regard as incompatible with China’s declared aspirations of good international citizenship. We should make it clear that troubling practices that aren’t openly and officially acknowledged, and clearly ruled out as future options, will continue to inhibit the closeness of the relationship. This approach can be expected, over time, to impart valuable stability and predictability to our relations with the People’s Republic of China. Ron Huisken is an adjunct associate professor at the Strategic & Defence Studies Centre, Australian National University.